Often one of the hardest things to do, which ironically is the most simple solution is to turn to scriptural references to gain life lessons on how to tangibly progress on our own path. 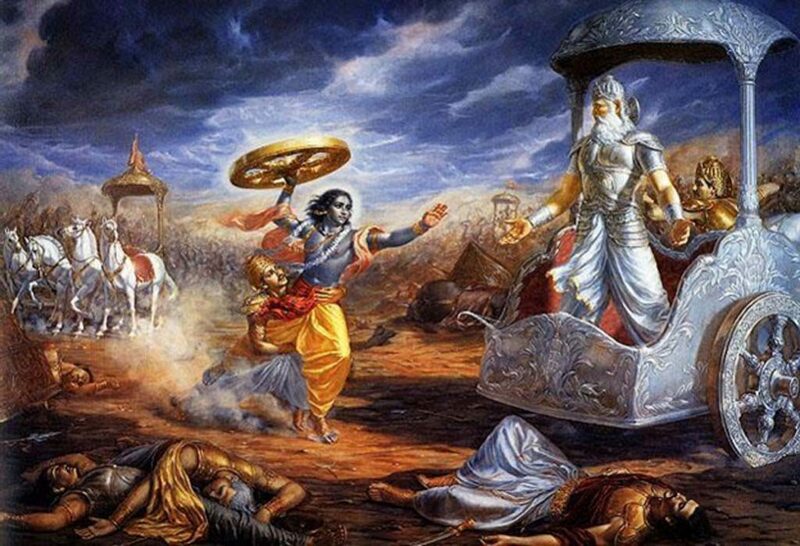 Because we know that many of you are Mahabharata lovers, we have released a 6 weeks series on this great epic so that amongst our lives, we can gain more depth on how to keep calm, make better decisions and grow your inner character. By the end of the 6 weeks we wish to give everyone tangible tools & deep nourishing stories on the core Mahabharata characters which will help us gain perspective that yes our lives may be difficult, at times it may feel like pushing a bolder uphill at times, however when looking at snippets of this epics we’ll see real difficulties & rollercoasters which will make our problems seems to insignificant. Taught by one of the monks at Bhaktivedanta manor, this is a highly rated seminar that you wouldn’t want to missed. Course Fee: £60, or two places for £105. Bring a someone you think could benefit & pay below for the dual entrance with discount. The means only £105 for two of you! Bargain or what.